You are invited to join us on Wednesday to meet other elevated networker's who want to develop effective business relationships and to create more business opportunities together. It is a great time to take part in table and group discussions, which previous guests have described as educational, informative, and interesting. 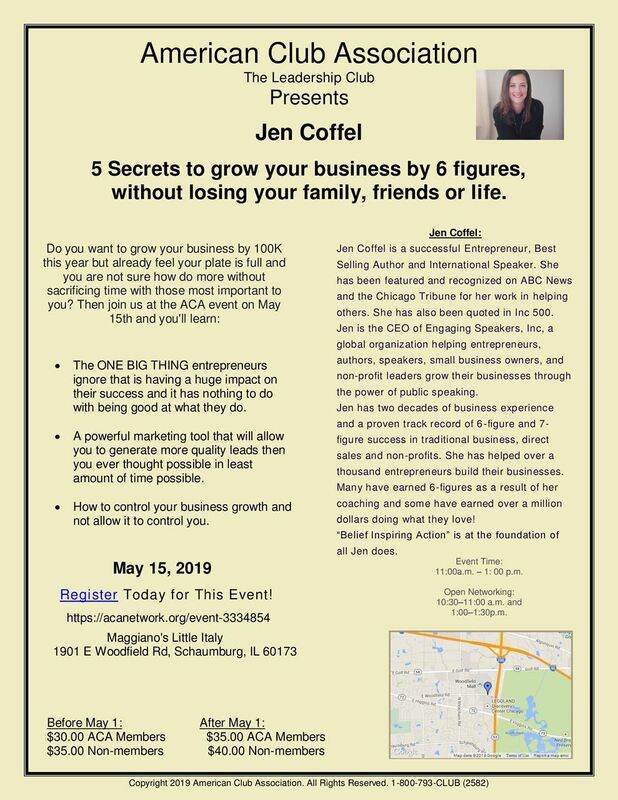 Come and learn why ACA was listed by Crain’s as one of the most selective networking organizations in the Chicagoland area.